Is there anything more amazing, more radiant, more transplendent than eating ice cream in a park on a warm summer’s day, the smell of family barbecues wafting through the air, the sound of kids’ joyous screaming and puttering wet feet through the dewy haze of gushing sprinklers and fountains? No, quite frankly there is not. This, my friends, was a true Summer in Williamsburg experience. Sitting in a small triangular park, sandwiched by a Bank One, the BQE, and the geometric shapes of a new housing development and amidst colorful characters – from a family of what looked to be first, second and third generation Puerto Rican immigrants to a man along with his gargantuan dog to the multi-flavoured hipsters that have become synonymous with the area – I sat greedily licking and scooping up hands-down the best soft serve ice cream I have ever had. Cereal Milk Ice Cream. I would like to take a minute to get down on my hands and knees and THANK GOD for David Chang. If you live in New York and you haven’t made it to any one of Mr. Chang’s restaurants on 1st Avenue (which, Mayor Bloomberg, may I propose we rename Momofuku Row?? ), or 2nd Avenue or Uptown and now, most recently, Williamsburg, I feel sorry for you. How, I ask you, can you live with yourself having never tasted his delicate pork buns or transcendent fois gras? And you call yourselves New Yorkers?!?! For those of you who are most unlucky in that you live outside a 100-mile radius of a Chang institution, whip out your AMEX. Flights are cheap! Really. There is no excuse for not having had one of the several Momofuku variations. As I said, the latest installment of Momofuku Milk Bar is in Williamsburg across from the BQE on Metropolitan Avenue. I passed it walking to an appointment and was excited to see it but refrained from going in. But when I passed Milk Bar on my way back home, there was no line, and it was hot, so I thought I would pop in and at least say, “Hi”. But then I saw it on the menu – Cereal Milk Soft Serve – and I couldn’t resist. One cup please. No, I don’t want any toppings. Thank you and goodbye. The soft serve was so good that I texted Jason right away, juggling phone and cup-o-soft serve, saying, “Next week I am making Cereal Milk Ice Cream with your ice cream maker so don’t try to stop me”. And literally one minute later I get the reply, god love this man, “I would never try!”. If neither of us had any other redeeming qualities, we would love each other based solely on exchanges like the above. (Luckily for both of us, we find many redeeming qualities in ourselves and in each other, ice cream making just being one). And so I set out to recreate Mr. Chang and his partner in crime at Momofuku Milk Bar, Christina Tosi‘s recipe. First I turn to Chang’s cookbook, which I have written about before. In it contains the recipe for Caramelized Cornflakes, which is the start of the whole recipe. But its now several days after that first blessed event, so I can’t bear to turn on my oven. No worries! Frosted Flakes are my next best bet! From there I followed a pretty standard ice cream recipe. Details below but beware, one bite of this ice cream might turn you off to Mr. Softee forever, another classic New York summer staple. 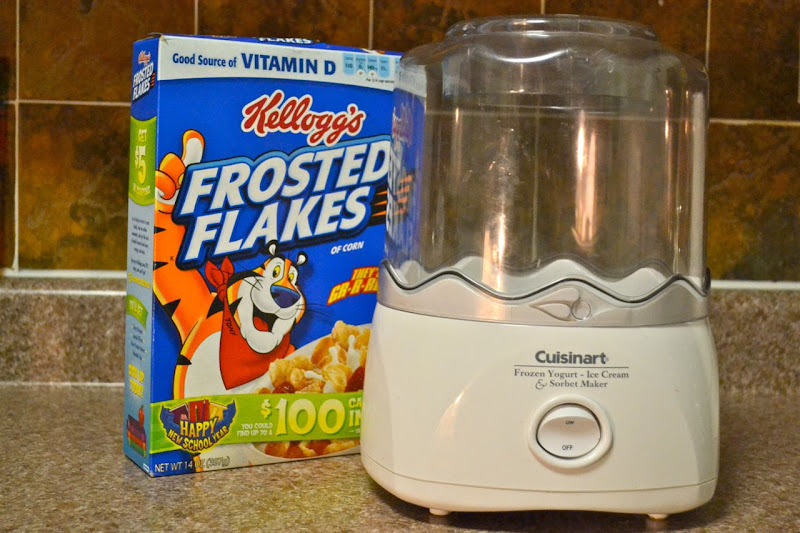 To prepare the cereal milk, combine 14 oz of Frosted Flakes and milk in a large mixing bowl and let steep for an hour. Strain the milk with the help of a fine-mesh sieve (make sure to press on the Flakes with a spatula to extract as much liquid as possible), strain once again (through a finer sieve or cheesecloth this time), pour it in a container and set aside. To prepare the cereal milk ice cream, pour the heavy cream in a medium bowl and place it in the fridge until needed. Combine cereal milk, sugar, salt and vanilla extract in a small pot and bring to a boil over medium heat. In the meantime, in a medium pot, whisk together egg yolks. Slowly pour the warm milk mixture into the yolks while whisking constantly. Place over medium heat and stir until the mixture coats the back of a wooden spoon. Pour the custard through a strainer into the chilled heavy cream and stir to combine. 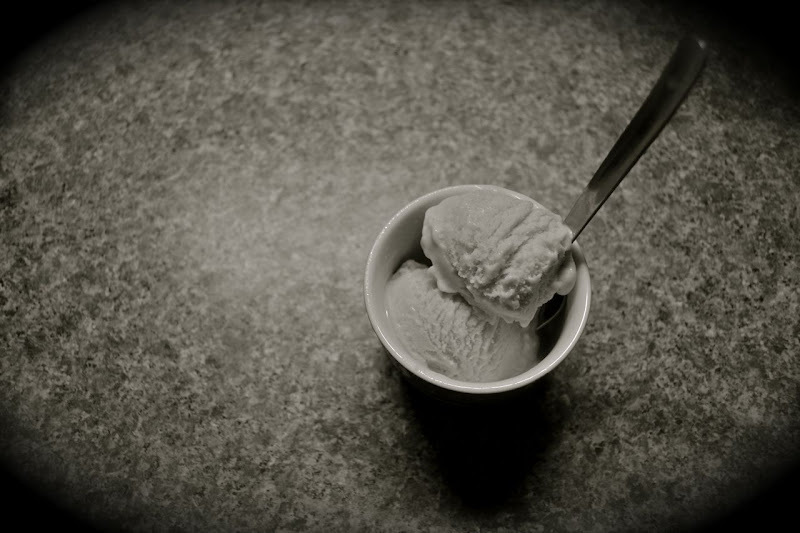 Chill the mixture overnight, then freeze it in your ice cream machine according to the manufacturer’s instructions. Serve with the remaining Flakes.